Moana Easter Eggs - Watch for Hidden Disney Characters! 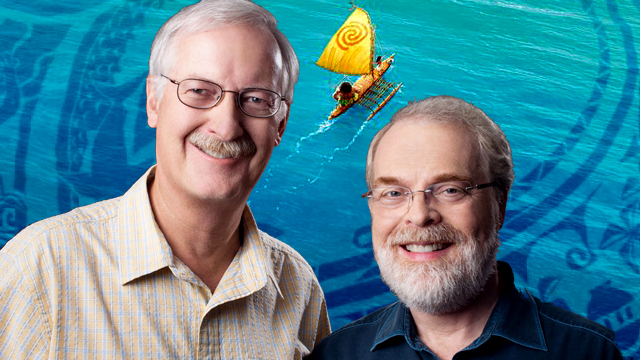 CS Interview: Ron Clements and John Musker Share Moana Easter Eggs! Directors Ron Clements and John Musker are themselves Moana Easter Eggs! Can you find them in the film? Walt Disney Animation Studios‘ latest adventure is now in theaters and CS is thrilled to present our exclusive conversation with directors Ron Clements and John Musker. Well known to Disney fans as “Ron and John,” the creative pair have been directing Disney animated features for decades, beginning with The Great Mouse Detective and continuing with The Little Mermaid, Aladdin, Hercules, Treasure Planet and The Princess and the Frog. Based on reviews, they’ve got another hit in Moana and, in the below interview, Ron and John share some of the hidden Moana Easter eggs you should look out for when you catch the film in theaters. Read on for the full interview, which also takes a look at Moana‘s unique music and even teases a scene from Wreck-It Ralph 2! Boasting original music by Hamilton‘s Lin-Manuel Miranda alongside Opetaia Foa’i, and Mark Mancina, Moana follows newcomer Auli’i Cravalho as Moana, an adventurous teenager who risks everything to sail out on a daring mission to save her people. It is on the South Pacific seas that Moana meets the once-mighty demigod Maui (Dwayne Johnson), who guides her in her quest to become a master wayfinder. Together, they sail across the open ocean on an action-packed voyage, encountering enormous monsters and impossible odds, and along the way, Moana fulfills the ancient quest of her ancestors and discovers the one thing she’s always sought: her own identity. CS: My first question is, how quickly do the songs stop playing over and over in my head? Ron Clements: (Laughs) When you’ve done a few musicals like we have, you come to realize that it’s not a question of when but of which song will be playing. When you wake up in the morning, which one is it going to be? There’s no real rule about it. It can be any one. John Musker: But when it comes to that combination of Lin and Opetaia, there’s something extra catchy about it. Ron Clements: We’ve heard the songs so many times, though, and they’re still just as great. CS: It is particularly weird to have a song playing my head where I’m not even sure what the words necessarily mean. John Musker: We were really influenced by “The Lion King.” Early on, we knew we wanted to have music that, even if they lyrics are in a different language, the song still has that feeling. I listened to a ton of music from the islands and I didn’t know what the lyrics meant either until we started doing the movie. It was so powerful, the harmonies, and the mental picture that it creates. It’s not even a literal picture. It’s more a feeling and that’s what we wanted for the movie. Ron Clements: Even with Lin-Manuel Miranda, we didn’t know about “Hamilton.” We just liked his music and loved him and his passion. He’s so smart. One of the things he did was “In the Heights,” which he won a Tony Award for. John Musker: That moved between English and Spanish and did it effortlessly. Lin was open to the idea of collaborating with a musician from the Pacific Islands. Some of the other composers we talked to were a little apprehensive about teaming up. They wanted to do everything themselves. So we really liked Lin’s attitude. We really wanted to get both in there. Ron Clements: There were really three people that made up the musical team. There was Opetaia, and that was really the roots, the music of the islands. That’s very much who he is. Then there’s Mark Mancini, who has scored numerous films and Disney animated films. He was really critical on “The Lion King.” He took what Elton John did and merged it with “La Bohème” and African influences. He really fused those elements and made it work. So then Lin was the third guy. We met with him in New York, because we really wanted to bring in the storytelling of musical theater influence with the idea that the three of them would be the musical team for the movie. CS: Speaking of “The Little Mermaid,” I was looking for an Easter Egg and couldn’t find one. I assume there are a fair number of Moana Easter eggs? John Musker: Oh, yes! There are many. Ron Clements: Flounder is in the movie. But there are a lot Moana Easter eggs. We can’t tell you where they all are yet. Ron Clements: Olaf is there, too, but he’s much harder to find than Sven. In fact, we need to give a prize to anyone who finds him. Ron Clements: And Baymax! You may need to see it a couple time to find him. 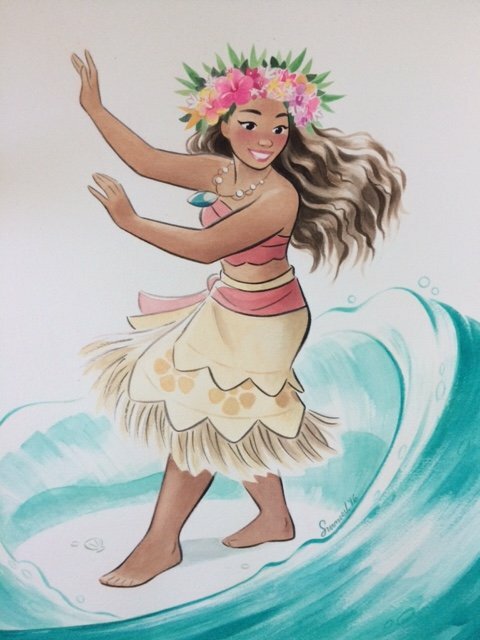 CS: What is the process of including Moana Easter eggs? John Musker: People throughout the process get involved. 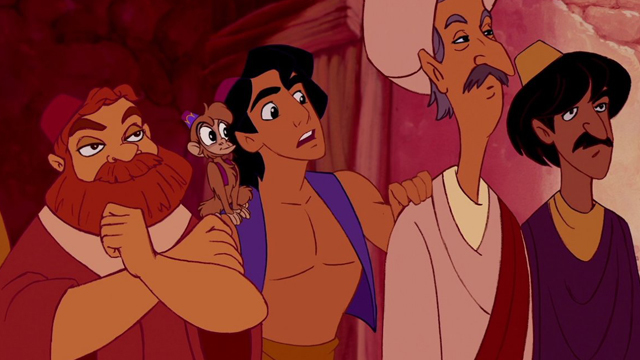 Ron Clements: Aladdin’s lamp is also in the movie! John Musker: Everyone has fun with it as the models are being realized and the environments prepped. There are choices to populate a scene and they throw something together. Ron Clements: We usually find out about it later and just approve it. Sometimes we don’t, if we think it’s going to be too distracting. John Musker: We’re in the movie, too! Ron Clements: Yeah, that’s a tradition. We’re very prominent in Aladdin. John Musker: We don’t do a voice in this one, but we do appear in a couple spots. It’s subtle. It’s our little Hitchcock thing. CS: There’s a great line in a movie about what makes a princess. I believe it’s, “If you wear a dress and have an animal sidekick, you’re a princess.” Is that now the official criteria for being a Disney princess? John Musker: (Laughs) That’s a Jared Bush line, our writer. We love the line. It’s very funny and it’s sort of a comment on things. Ron Clements: Yeah, it’s sort of saying that Moana is different than some of the others that came before. Some of ours and some of the rest. John Musker: We thought of her as others have termed her, a “badass princess.” We liked the idea of her being an adventurer. It’s not at all a romance. It’s really a coming-of-age story. She’s the hero that is going to save the world. That was a fun, different challenge for us to do. CS: It seems like there were a few sort of meta jokes throughout Moana. Ron Clements: Yeah, it’s that slightly buried-within-things commentary that has been a part of the Disney legacy. John Musker: I’m not going to say another word about it, but there’s a sequence tied to that in Wreck-It Ralph 2 that’s fun. Really, really fun! But I won’t say another word. CS: Speaking of Rich Moore, this year sees the release of two animated features from Disney. It’s definitely a good problem to have, but how do you work out who gets the awards attention? John Musker: Of course, they’ve told us that they’re going to push us and ignore “Zootopia.” (laughs) We loved “Zootopia,” though, and it got amazing reviews and did incredible box office. Ron Clements: This is a big, big year for animation. Ron Clements: When we did “The Little Mermaid” in 1989, there was a Don Bluth film, “All Dogs Go to Heaven.” There may have been another feature, but that is kind of how the world was. Now, with 27 animated features this year, things have changed. John Musker: But it is good for the industry. It’s good to have competition in our slate of movies and to have different types of movies. I think that’s a good thing. 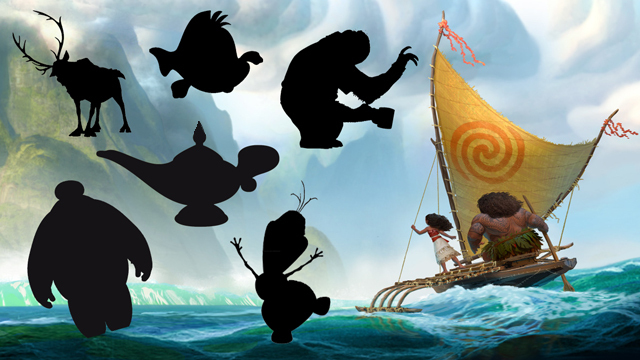 Did you spot any Moana Easter eggs? Let us know in the comments below!